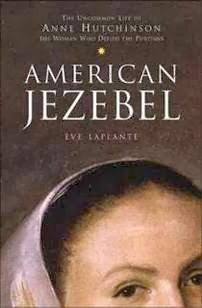 Eve LaPlante is the author most recently of Marmee & Louisa, a biography of Louisa May Alcott and her mother. 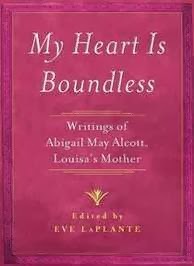 She also edited My Heart Is Boundless, focusing on the writings of Abigail May Alcott. Her previous books include American Jezebel and Salem Witch Judge. She lives in New England. 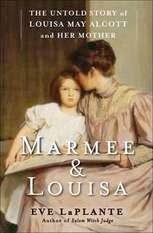 Q: How similar is the relationship between the real Louisa and Abigail to the fictional relationship between Jo and Marmee in Little Women? A: The fictional relationship portrayed in Little Women is a nugget of the actual relationship between mother and daughter, which was more difficult and complex. Alcott took a slice of the relationship she had with her smart, loving, encouraging mother and gave us that in Little Women. What she left out was a lot of pain: the homelessness the Alcotts endured for thirty years, the marital strife her mother experienced, and their poverty. You might say she cleaned it up when she wrote Little Women. In fact, the stable, happy home in Little Women seems more like the home Abigail grew up in, as the youngest of four girls, a comfortable house in early nineteenth-century Boston, still a pretty country town. Q: What surprised you the most as you researched this book? A: I was most surprised to learn how important the real Marmee really was to the story of Louisa May Alcott. Because everyone thought Abigail’s papers were all burned after she died, everyone had pretty much ignored her except insofar as she was a long-suffering housewife and mother. I was amazed to learn that Abigail was Louisa’s mentor and muse – the person who gave Louisa her first journal and encouraged her to write, not only in childhood but for decades. Abigail was also Louisa’s first reader, and the inspiration for many of Louisa’s stories. Louisa read over her mother’s lengthy personal journals, at her mother’s insistence, looking for ideas to write about. That was a big surprise. Q: What does the Alcott family’s story say about attitudes toward women in the 19th century, and what is similar to the choices women face in more modern times? A: Abigail did not fit into her society. The ideal woman then, and throughout most of American history, was a docile, nonintellectual homebody. Abigail was more like women today. She wanted girls to be equal to boys, and women to have the same opportunities and responsibilities as men. 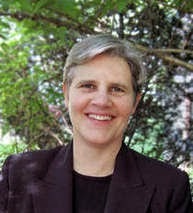 Her unusual social and political views included a belief that women should vote and participate in public life. She opposed slavery in the 1830s, when proper Boston society considered abolition insane. As one of American’s first social workers, she sought ways to alleviate urban poverty, and as a mother she gave her daughters all the encouragement to do whatever they felt called to do – have a career, marry, travel, and seek their fortunes. These opportunities had not been available to her. But she had enjoyed a happy girlhood in a comfortable house filled with books and sisters, with a devoted older brother who encouraged her desire to be educated and equal to him. Q: You have family connections to the Alcotts and Mays, and also to other figures you’ve written about. How do you think that biographical connection affects your writing, or your choice of subjects? A: My family relationship to my subjects gives me a sense of kinship with them, but it doesn’t seem to change the research and writing. There is no question that as a child I had trouble identifying with my famous ancestors, and of course a biographer must be able to identify with her subjects. As an adult who has had the privilege of coming to know these people through their own words, I view them as three-dimensional figures with gifts and flaws who deserve my respect and sympathy. 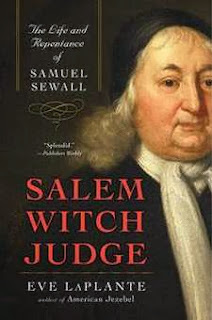 The family tree did give me the subjects of three books: Salem Witch Judge, about the repentant 1692 jurist who became America’s first abolitionist and feminist; American Jezebel, about Anne Hutchinson; and Marmee & Louisa. If my Aunt Charlotte, the family genealogist, hadn’t told me stories about my family’s past when I was small, I would never have known to explore the lives and times of these fascinating people. Their stories are so great, in fact, I wish I had more ancestors like them still left to explore! With Marmee & Louisa, I had something special that didn’t exist for the two previous ancestor biographies – family papers in an attic trunk. That was a biographer’s dream. In trunks that came from my late great-aunt, Charlotte May Wilson, I found a book inscribed by Louisa May Alcott to her 10-year-old cousin George “from his cousin Louie.” That became the opening scene of Marmee & Louisa. I found an 1823 family Bible, memoirs and letters of Louisa’s first cousin my great great grandmother Charlotte May, and Louisa’s uncle, Samuel Joseph May, Abigail’s brother and lifelong ally. A: Lacking more ancestors to write about, I’m experimenting with fiction, an exciting new challenge. I hope to be able to tell you more about that soon.